The former hedge funder should have seen this coming. Things were going great for Martin Shkreli just a few months back. He was making bank while price-gouging drug prices, buying exclusive hip-hop albums, and making big moves like his takeover of struggling pharma phirm KaloBios. Alas, like Icarus with a personality disorder, it seems that Martin was flying just a little too high. He&apos;s been called before Congress to testify about his price-gouging, engaged in public beefs with hip-hop impresarios, indicted on federal fraud charges and forced out as CEO of KaloBios. But now, according to WSJ, some of the disasters left in the wake of Shkreli are seeing glimmers of hope on the horizon. Financing outlined in papers filed Thursday with the U.S. Bankruptcy Court in Wilmington, Del., would help fund a deal that Mr. Shkreli started, which KaloBios is now trying to close. KaloBios is seeking a priority review voucher, a ticket for a speedy trip through the federal regulatory process, for a drug it would like to produce. Such vouchers have sold for hundreds of millions of dollars. Sounds great. What&apos;s the catch? Loans to help the deal along and get KaloBios out of bankruptcy are being offered by Black Horse Capital LP, an investment fund with an interest in the biotechnology sector. 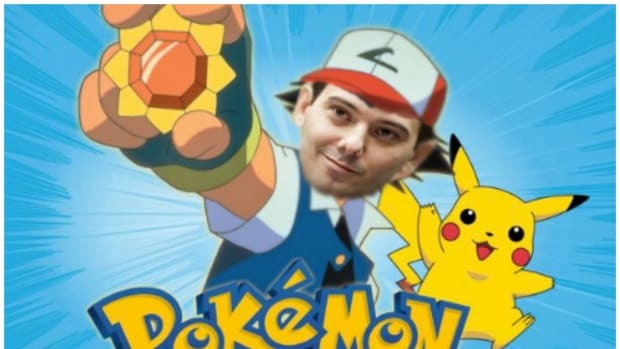 The financing is conditioned upon a requirement that Mr. Shkreli not have voting control of more than 20% of the common stock of KaloBios once it exits bankruptcy. So a hedge fund is going to give KaloBios a shot at a multi-million score that it sorely needs in exchange for cutting ties with Martin Shkreli forever? As they are saying in the halls of KaloBios right now "Dreams do come true!" Now all KaloBios has to do is hope that Shkreli loses an ongoing bankruptcy court case alleging that he should have disclosed his legal troubles before asking investors to help him take a majority stake in KaloBios last fall. Everyone's favorite price-gouging emo-rapping hedge fund-dropout is now CEO of a publicly-traded company. The hedge fund manager turned pharma CEO should have "turned" more carefully. Maybe M-Shkrels should make "Pleading The Fifth" into a lifestyle. Hedge funder AND evil capitalist pharma executive? You're quite the political target, Martin. That brings Martin's grand total to eight...so far. The Shkrelmaster has a cute new hobby. Kalobios has had a rough week.